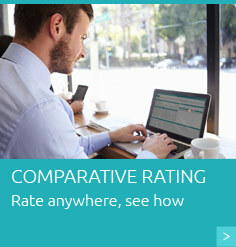 Web-based, accurate rater to easily find the coverage your clients need. 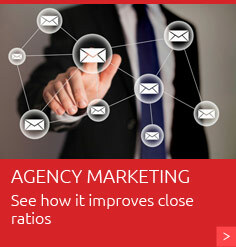 Track your agency's success and failures so you can improve efficiency. Join our free weekly training webinars. The most valuable service you offer your customers as an independent agent is finding the coverage needed for the best price through analyzing several insurance companies. TurboRater makes it easy to provide this analysis within seconds of the customer’s request. Type the quote information into the personal lines insurance comparative rating system, and built-in underwriting rules are applied automatically so you receive multiple, accurate quotes instantly. TurboRater eliminates the need to enter quote information into multiple companies’ websites decreasing the opportunity for data entry errors. Increase agency revenue by decreasing the time necessary to quote a policy thus giving your producers and CSRs more time for new sales and account rounding activities. Save time and money by creating standard workflows, lowering the amount of employee training needed and removing duplicate data entry through our personal lines comparative rater. Improve agency efficiency by using TurboRater’s extensive reporting capabilities. TurboRater provides the most up-to-date in cloud technologies to provide you with multiple carrier quotes in an average of four seconds. Insurance rating software by ITC is easy to use and accurately rates auto, homeowners, condominium and renters policies. Using this web-based platform, you can generate real-time rates from any Internet-connected computer or tablet. When you rate with ITC, you can be confident in the quotes you provide your clients.